In June 2017, Redweb hosted an event focused on the future of ecommerce at the beautiful Ivy Brassiere in Soho. Our technology partners Sitecore and Coveo co-hosted the morning breakfast event with us and helped welcome our fantastic panellists from Animal and La Perla, as well as a full house of guests including Brew Dog, Charlotte Tillbury, Smiggle, Unilever, Global Travel Ventures and many more. 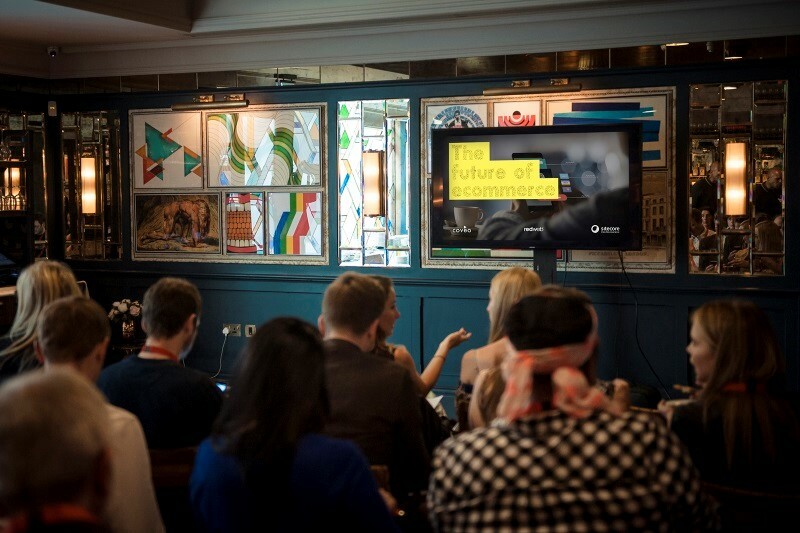 Our audience discovered how new technologies can work together to form a pioneering solution that personalises user journeys and ultimately drives customers through to purchase. La Perla and Animal shared how they engage and drive loyalty with their audiences through clever content development, and how they use online tools to increase online conversions, drive more traffic and ultimately increase sales. Sitecore’s Digital Experience and Transformation Consultant Paul Fennemore shared how leading brands devise their ecommerce strategies and context marketing. The audience discovered more about multi-channel communications and how Danone-Nutricia used ecommerce to come out of the recession stronger than ever. Coveo’s EMEA Managing Director, Henry de Jong spoke about AI-powered site search and how important it is to create dynamic, search-driven content pages. He also spoke about the tools necessary to measure and refine site search performance. The event ended with a panel discussion so attendees could ask questions and gather insight from other ecommerce brands and learn how they are evolving their digital landscapes to meet the needs of their users. Want to be the first to know about upcoming events? Simply enter your details below and we’ll notify you when there’s a date for your diary. Are there any specific topics or event formats you’re interested in?